Five years after a hunger strike of undocumented migrant workers, participants were interviewed to find out about the long term consequences and what the post-factum evaluation of their participation was. A longitudinal observational study was set up, interviewing 46 of the 100 ex-hunger strikers and combining quantitative and qualitative research. This grassroots study shows that one out of six did not derive any benefit from their participation. Half regretted their participation, especially the ones who lost again their legal permit, mentioning health consequences and the fact that their situation hadn’t improved. Given the growing number of asylum seekers around the world who are being refused legal permits, hunger strikes will remain a pressing topic. Health professionals, confronted with this possible health and life threatening action, should be informed about the long term impact of voluntary fasting on body and mind of ex-participants. Prévost M. Hors limite : sans-papiers en grève de la faim. Santé Conjug. 2009;48:30–3. https://www.maisonmedicale.org/Hors-limite-sans-papiers-en-greve.html. Prévost M. Que se passe-t-il lors d’une grève de la faim ? Santé Conjug. 2010;53:25-29. http://www.maisonmedicale.org/Que-se-passe-t-il-lors-d-une-greve,2266.html. Allen SA, Reyes H. Clinical and operational issues in the medical management of hunger strikes. London; 2013. http://www.medicaljustice.org.uk. García de Olalla P, Caylà JA, Milá C, et al. 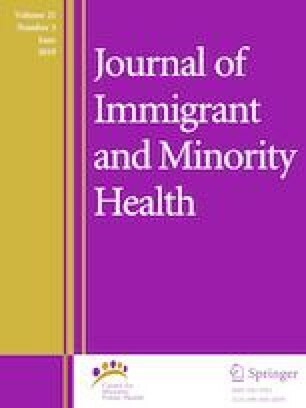 Tuberculosis screening among immigrants holding a hunger strike in churches. Int J Tuberc lung Dis. 2003;7(12 Suppl 3):S412-6. http://www.ncbi.nlm.nih.gov/pubmed/14677831. DH/Offender health. Guidelines for the clinical management of people refusing food in immigration removal centres and prisons. London; 2009. http://www.thelancet.com/cms/attachment/2000996268/2003692958/mmc1.pdf. Fessler DMT. The implications of starvation induced psychological changes for the ethical treatment of hunger strikers. J Med Ethics. 2003;29(4):243–7. http://www.ncbi.nlm.nih.gov/pmc/articles/PMC1733754/pdf/v029p00243.pdf. van Reenen M, Janssen B. EQ-5D-5L User Guide. Rotterdam; 2015. https://euroqol.org/wp-content/uploads/2016/09/EQ-5D-5L_UserGuide_2015.pdf.